This wonderful piece of New England folk art was hand crafted using an antique German chocolate mold and the centuries old German tradition of chalkware. The art of molding plaster of paris, referred to as chalkware, into holiday treasures has been revived here in America. 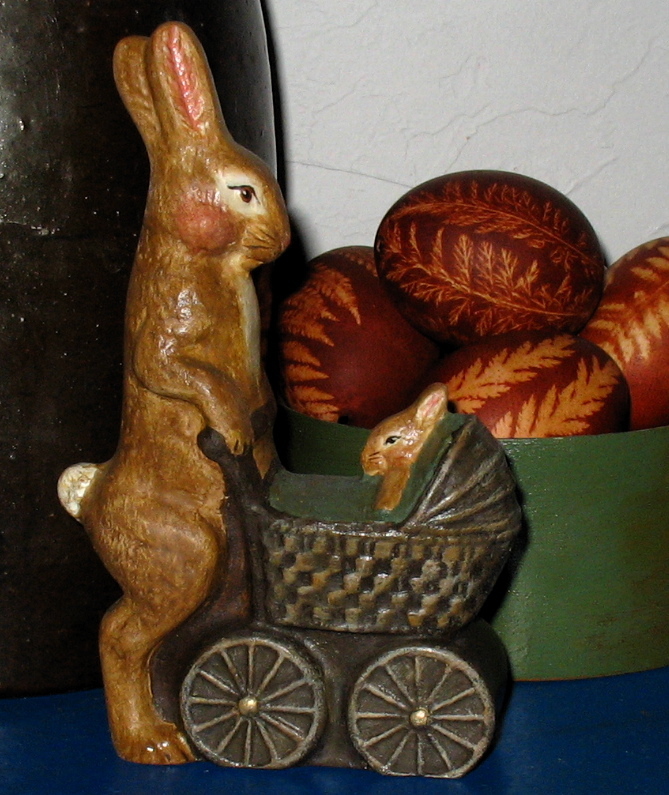 Offered here is a Chalkware Rabbit cast using a wonderful highly detailed rare antique German chocolate mold (mfg. Anton Reiche; Dresden, Germany). The piece is handpainted, glazed, and antiqued. This absolutely charming figure, measures 6 inches, is signed, numbered and dated.